Internet performance issues are the most frustrating and time consuming problems that network engineers have to troubleshoot. 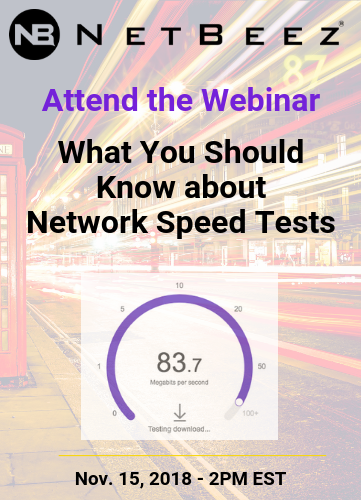 When the network is causing applications slowness, there are three key metrics that should be analyzed: throughput, latency, and packet loss. This webinar will be most relevant to IT practitioners who are involved in day-to-day network operations and user support. Download the ultimate command line cheat sheet. We introduced our two-page command line reference at Interop ITX 2018 and would like to share a downloadable version! 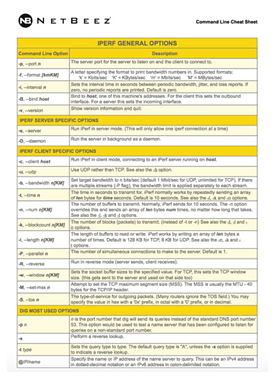 The cheat sheet contains the most common options of the popular Linux commands like: Ping, Traceroute, iPerf, curl, and dig!